Milan is a researcher and lecturer at the Czech Technical University (CTU) and at the Leipzig University (ASKW) in Germany. He has 5+ years experience in the computer industry in the Czech Republic, Germany and Slovenia. 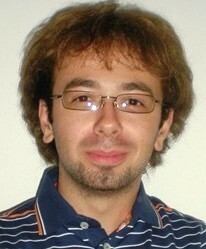 His research interests are in Semantic Web, Web services and NLP technologies. He was working on several European projects funded by the FP7 and H2020 programmes. Milan is member of the W3C LD4LT and Open Annotation groups. He holds a MSc. degree in Computer Science from the University of Maribor in Slovenia. Research projects: read more about my research interests and the list of projects I am/was working on. Publications: see the list of published articles on different international events. Courses: see the list of courses I teach at the Czech Technical University in Prague. Supervision: see the list of available, on-going and completed master and bachelor topics supervised by me. Contact: should you have interest in contacting me for anything, professional or personal, here you can find my contact details.